Last night, despite trade speculation with many teams, the Tennessee Titans drafted Marcus Mariota with the No. 2 overall pick in the 2015 NFL Draft. Mariota is now on his way to Tennessee to be introduced to the media, and it appears this pick will stick. “Every minute we spent with him it just felt better and better,” Titans general manager Ruston Webster said of Mariota, via The Tennessean. “I think our whole room, coaching staff and scouts, the whole group, was extremely excited. … In the end, I think, to a man in the draft room, with our coaches, it was unanimous. Marcus will be slinging it in Tennessee next season. 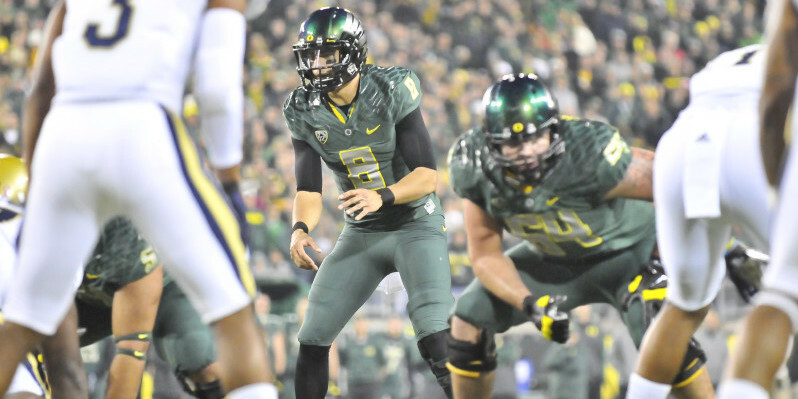 One of those teams was the Philadelphia Eagles and Mariota’s former college coach, Chip Kelly. But — SI’s Peter King said the pick made sense for the Titans on multiple levels. “No one knows how he’ll adjust to the pressures of the NFL, but Whisenhunt isn’t concerned with how much he’s going to struggle learning how to call plays in the huddle (which he didn’t have to do at Oregon) or with the concepts of the pro offense. As Whisenhunt watched Mariota on tape, he got to learn that the perception of him being just a running quarterback was false. 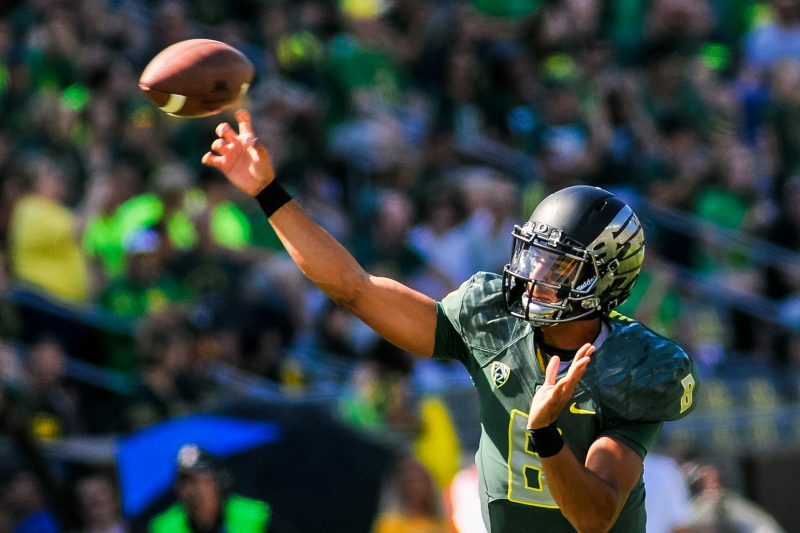 Seventy percent of his throws were from the pocket in the national semifinal win over Florida State — those are the kinds of things that burst the bubble of the perception that Mariota can’t run a pro-style offense. Marcus will be introduced to the Tennessee media today and I’m sure, handed a thick playbook at some point, as well.